Star rating is the worst metric I have ever seen | LegNeato! Note: The below is a slightly modified version of a rant I posted internally at Facebook when I was shipping their mobile apps. Even though the post is years old, I think the issues with star rating still apply in general. These days I mainly rant on Twitter. Not only is star rating the worst metric I have ever seen at an engineering company, I think it is actively encouraging us to make wrong and irrational decisions. 1. We can game it easily. We’re adding in-app rating dialogs to both platforms, which can juice the stats even more3. If we are able to add a simple feature–which I think we should add for what it’s worth–and wildly swing a core metric without actually changing the app itself, I would argue the core metric is not reflective of the state of the app. 2. We don’t understand it. The star rating is up on Android…we don’t really know why. The star rating is down on iOS and we think we might know why, but we still have big countdown buckets like “performance”. For a concrete example, in the Facebook for Android release before Home we shipped the crashiest release ever…and the star rating was up! We think it was because we added a much-requested feature and people didn’t care about the crashes but we have no way to be sure. Finally, we have fixed countdown bugs on both platforms in the last quarter…we haven’t seen a step function up or down on either star rating….the trends are pretty constant. This implies that we don’t really know what levers to pull and what they get us. 3. Vocal minorities skewing risk vs reward reasoning. The absolute number of star ratings is pretty low, so vocal minorities can swing it wildly–representative sample this is not. For example, on the latest iOS app we think 37% of 1-star reviews can be attributed to a crash on start. Based on what we know, the upper bound of affected users is likely ~1MM, which at 130MM MAU5 that’s 0.7%. The fix touches a critical component of the app and mucks around with threading (via blocks) and the master code is completly different. So 0.7% of users make up 37% of our 1 star reviews because of one bug (we think) and we are pushing out a hotfix touching the startup path because of the “37%” when we should really be focusing on the “0.7%”. I think that is the right decision if we put a lot of weight on star rating but it isn’t the right decision generally. Note that we did not push out a hotfix for the profile picture uploading failure issue in the same release because the 0.5% of DAU affected wasn’t seen as worth the risk and churn. 5. One star != bad experience. Note: I added #5 today, it wasn’t in the original post. The app stores show reviews on the app listing page. The algorithm that chooses which reviews to show must have some balance component as it usually shows at least one negative and positive review. We found that users in certain countries noticed this and would rate us as 1 star just to see their name on the listing page! There were a number of 1 star ratings with very positive reviews attached. 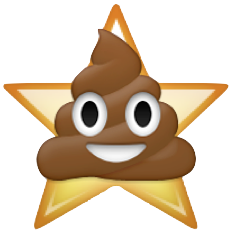 It turns out that in some cultures 1 star is the best (“we’re number one”) so those users were trying to give us the best rating and instead gave us the worst! Of course, there is both the standard OMG CHANGE reaction (“Why am I being forced to install Messenger?”) and user support issues (“I am blocked from sending friend requests, please help me!”) that show up frequently in 1 star reviews too. While both of those are important to capture and measure, they don’t really reflect on the quality of the app or a particular release. Everyone working on mobile knows about these issues and has been going along with star rating due to the idea that a flawed metric is better than no metric. I don’t think even using star rating as a knowingly flawed metric is useful from what I’ve seen over the last quarter. I think we should keep an eye on it as a vanity metric. I think we should work to capture that feedback in-app so we can be in control and get actionable data. I think we should be aware of it as an input to our reasoning about hotfixes but make it clear the star rating itself has no value and shouldn’t be optimized for in a specific release cycle.